Do I Need a Lawyer after I've Been Arrested? Do I Need a Lawyer after I’ve Been Arrested? It doesn’t matter what crime you have committed, hiring a lawyer can be a smart decision that will result in the best possible outcome for you and your future. If you have committed a crime, a lawyer on your side can only benefit you. 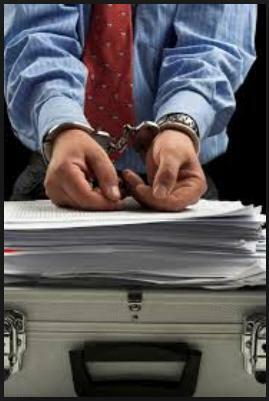 If you have been arrested for a criminal offense, then hiring a lawyer can help you defend yourself. Depending on the crime committed, a defense attorney will be able to construct a defense strategy to achieve the best legal results. Some of the other crimes can be found here. One reason that many people choose to hire a lawyer after they have been arrested is because many skilled attorneys have experience on both sides of the criminal justice system, so they can develop a defense strategy that will get you the best results. After you have been arrested for a crime, you must comply with the police. Do not try to run or resist arrest, because this can make your case much worse and more difficult to defend. If you have been released from incarceration or are awaiting a phone call, contact a skilled attorney. Your defense attorney will advise you as to what you should and shouldn’t be saying, but one of the most advantageous reasons for hiring a lawyer is that your chances of avoiding a court date are much higher than without an attorney. Hiring an attorney after you have been arrested will give you a chance to build yourself a case, rather than feel attacked. The prosecutor will do whatever is necessary to make a conviction, but an attorney has the ability to help you avoid going to court at all and negotiating a plea outside of the court system. Attorneys understand the difficulty behind the criminal justice system; therefore, if an attorney can arrange a reasonable plea for you outside of the courtroom, then this may save time, stress, and anxiety that comes with being arrested. With experience in every aspect of the judicial system, our attorneys at Leifer Law Firm will do whatever we can to evaluate your case, find evidence to defend you, and develop a strong strategy to keep you out of court. Contact us online at www.leiferlaw.com or call us at (561)395-8055 to schedule an appointment or free consultation and discuss your options.